It had been planned before that for the very first time, ORARI Lokal Bekasi (Local District of Bekasi) would participate the contest with 2 teams, YE1ZAT for Low Power and YE1K for High Power. Everything was completely prepared few days before as well as how coordination should be made to prevent interference each other during contest. First agenda in determining category should be resolved first since this would affect the strategy in the contest. Each of team member involving Old Generation and New Generation raised their opinion to which option should be taken in facing this. This was sort of team’s tradition that has been lasting for long. The good thing was contingency had been organized for any of options. Voting was taken as way to take decision based on various considerations delivered by each team member. Having considered many aspects might coexist, eventually voting revealed YE1K for contest station with 1 category at this time (Multi-Two High Power). Target being set by team was minimum 4000 QSOs or 5,500,000 minimum score. After its vacuum for about 2 years in DX Contest, this was the first comeback of YE1K, merging the skill of Old Generation and New Generation. This technical meeting was not only attended by present contest team member. To express support for contest team, we had a visit from YC1NWE (OM Toto) as one of Board Member in ORARI Lokal Bekasi, YB1NWP (OM Nyoman) as one of YE1K member, and YD1ARM (OM Aris) that became part of YE1K also. 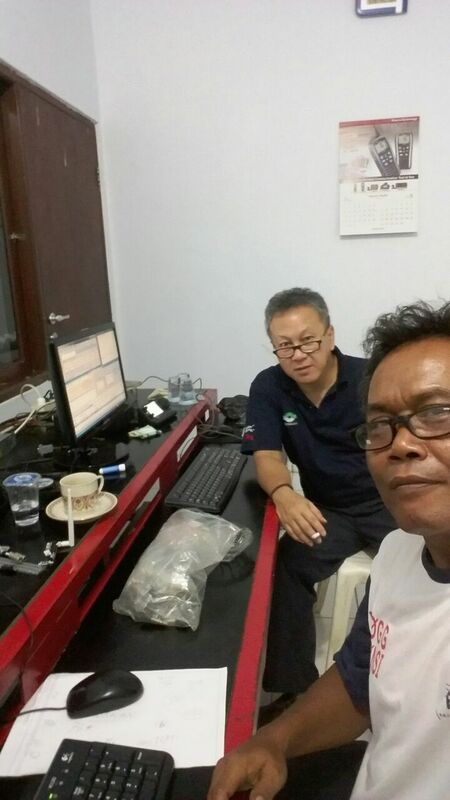 Both YB1NWP and YD1ARM are well known as the most eligible technician here in the team. They had contributed a lot for the team and still actively engage mainly to those requiring technical decision based on their nature and area of expertise. Within minutes just after technical meeting was closed, YB1PR (OM Faisal) and YB0QA (OM Erdius) came over and shared their experience as well as encouraging all team members prior to contest. One of the moment that had been waited by all team members was about to come…DINNER. Unlike previous 2 contests preparation at this station, this time we had special menu cooked and served by YD1DOQ, YL Oki who brought all dinner food and stuff from her place. Many thanks, Oki…all that you served were so tasteful, mainly Sop Kambing and Sate Kambing. Many aspects when taking Multi-Two Category should be taken into account. Good thing that YD1JZ and YF1DO managed these (hardware and networking) exceptionally well, days prior to D-Day. We were up to this point, with having all hardware as well as networking passed function test and loop check. What an outstanding job that resulted in outstanding setup. No surprise in Day-1 that would lead to contest disruption in term of hardware failure. Small incident occurred in starting Day-2 of Contest. One of the rig used for contest gear and probably the most demanded gear that this team member like to play with, Elecraft K3 experienced a problem. None of us but YD1JZ, OM Joz had in depth skills in how to explore all available menus and technical aspect of the rig. It happened when YC1ME started to operate this after his rest, he felt this rig behaved quite unusual compared to previous use. Soon afterward, troubleshoot was conducted by YF1DO, and he found that plastic cap at rig’s grounding lug melted and suddenly it switched off automatically. …EUREKA…having routed the ground line to find the real culprit revealed loosened end point of this line and in contact with switching power supply was the root cause. We then decided to switch off all appliances and rearrange grounding system. Once all grounding system was completed and properly wired to prevent inadvertent contact that undesirable, things were powered up. Gotcha, this beautiful gun was back and normal, except a small plastic grounding lug cap that being melted must be replaced someday. There was always new lesson learned that team always gained in every contest, this contest was no exception. In general, propagation always plays a significant role in any on-the-air activity, and contest was no different situation that being affected. 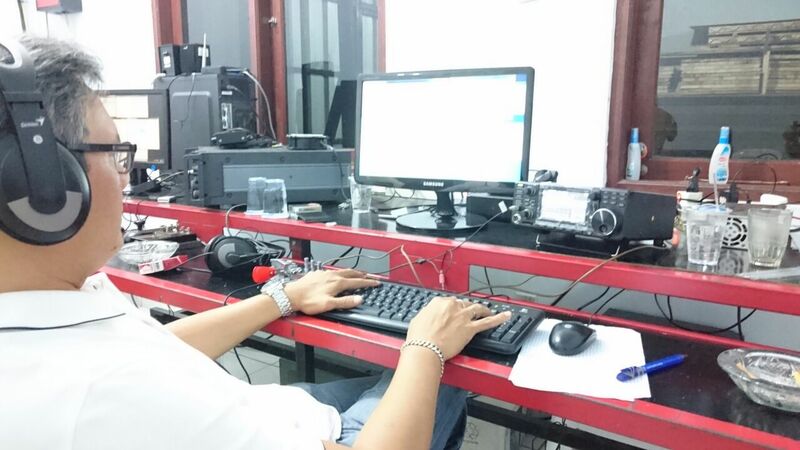 Team thought that 10 meters band was not favorable this time. This applied to all contestants where achievement on 10 meters band was not satisfying though. 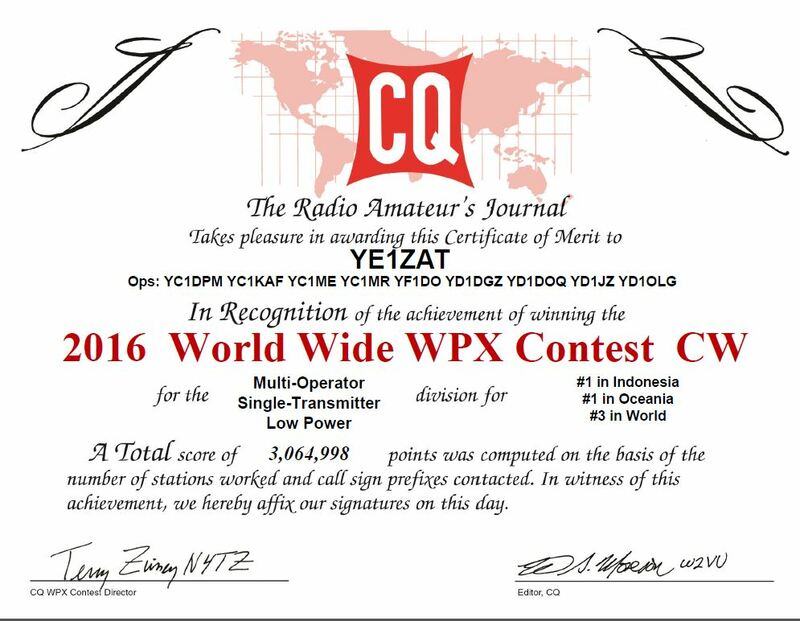 This contest ended with final claimed score 5,356,233 of all 3796 QSOs. This was away of target set before. Led by YB1CF, OM Yoyon, team conducted evaluation immediately an hour just after contest ended. First evaluation was raised by YD1JZ as he actively monitored from time to time the team progress over years as well as each operator progress. There are still some gaps need to be filled in by this team in the future as he thought that this team should achieve better than what was just gained. Not to mention technical aspects that might differ for each operator, non technical aspect concerning rest management was pointed out also. Progress of each operator, he delivered his opinion that some of us made good progress in performance but some degraded. It is certainly a human nature, but some affecting the performance should be manageable based on his opinion. Special complimentary was conveyed to YB1KAR as he made an outstanding progress. At the same time, YB1KAR shared his experience why he could manage this better compared to previous contest. One thing to be noted herein that he made absolutely well preparation through practice and exercise a month prior to contest. He led this by real example mainly to all team members. Despite along with YD1JZ, YC1KAF, and YB1CF, he is one of the experience team member, he felt that he still need more practice, practice, and practice, certainly need to be balanced with maintaining health prior to contest. Knowledge and skill transfer between Old Generation and New Generation Team. Just like pre-contest technical meeting, each member had opportunity to share their mind related to what we had just gone through and what to improve in the future. For new generation team, as successor of YE1K someday, this contest was a tool in bridging skill and knowledge transfer from senior. It takes long process for them to be in the same level and cannot be instantly achieved, but nothing is impossible. At least, from this contest, new generation had learned not limited to technical aspect but also non technical aspect that greatly affects end result. 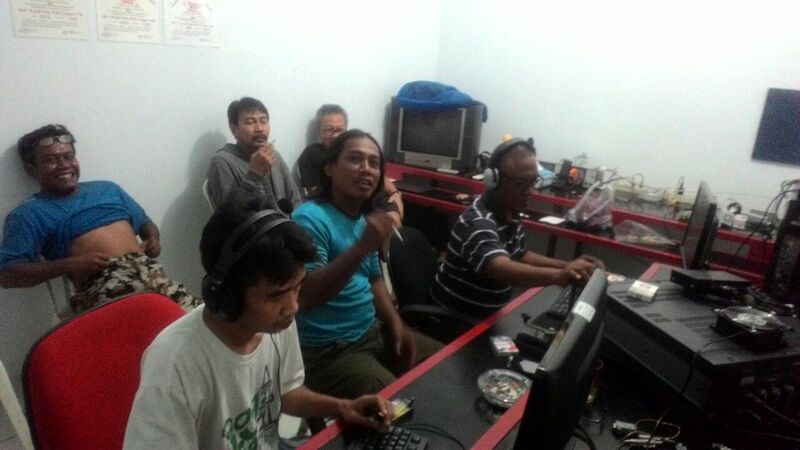 Looking at big picture, very good thing that more Indonesian Amateur Radio Stations took part in this CW contest had evidently showed new enthusiast in enjoying this hobby. The doomsday prophecy that Morse Code is a dying art again…again ….and again proved to be false. 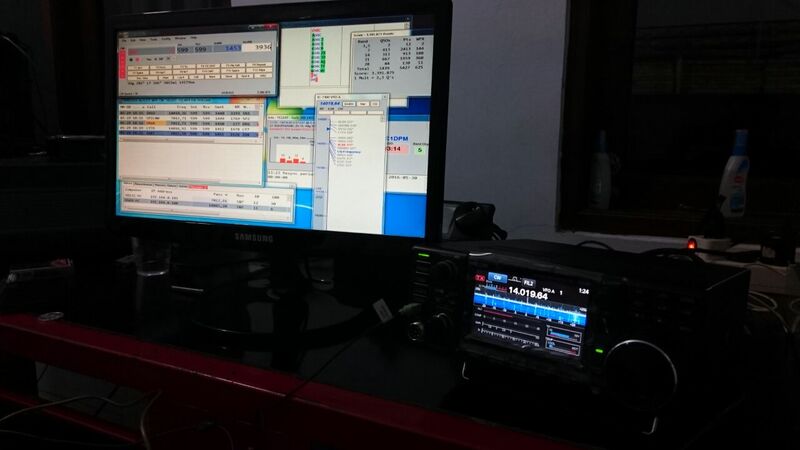 This hobby will keep alive and occupying room in amateur radio. 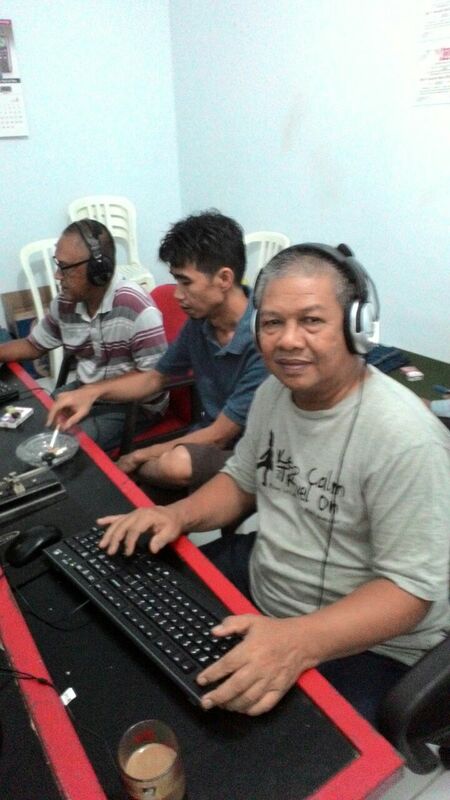 YE1ZAT again took part in CQWW SSB Contest 2015 from station in Grin Area, Tambun. Some troubles with contest gears occurred within contest period 24-25 October 2015. Achievement up to first 8 hours evidently described the actual situation when only 100 QSOs could be managed following problem with tribanders antenna. In spite of propagation was favorable on 15m band during first 8 hours where QSOs were focused on DX station in north, however, above condition would not much help unless main problem was sorted out. Upon all team members felt that something went wrong with current installed tribanders antenna, meanwhile that was not a good time to transmit on 40m, YE1ZAT contest coordinator Danu, YF1DO decided that game plan should be changed immediately by rectifying main root cause as soon as possible. Soon afterward, Muri, YC1MR came with his crew along with some materials required to build new antenna for 10-15-20 meters band. Contest should move on, no matter problem still existed and not being rectified at the time. In order to maintain contest continuation, while some repairs were conducted on main antenna, team worked together in assembling temporary antenna. This new temporary antenna was installed no higher than 6 meters above ground and certainly not much to be expected from kind of installation for DX purpose. Problem seemed would not end, at around 12.00 UTC in the first day of contest (19.00 local time), power outage occurred in the station and surroundings resulted from electricity network trouble followed by computer hardware problem once power resumed to normal. This unwanted situation at least impacted to QSOs achievement. 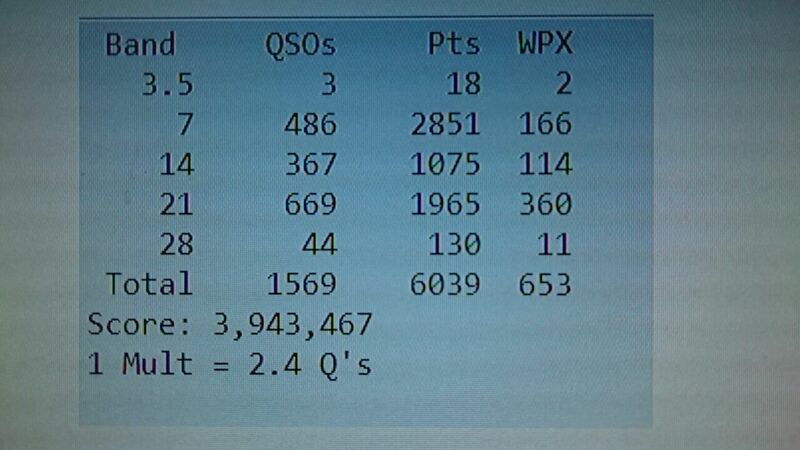 Having 24 hours of contest in Day-1, team could only manage up to 267 QSOs, for sure this was not a good achievement. Based upon what had been achieved in Day-1 of contest, it looked like impossible to meet number of QSO target that was setup during technical meeting few days prior to contest. During technical meeting, senior contest team member that also Station Owner Joz, YD1JZ and Contest Coordinator Danu, YF1DO during their briefing had set minimum 1000s QSO should be achieved by New Generation of YE1ZAT. Team started Day-2 with very big gap to fulfill, it was not an easy job though. With all gaps above, approximately 4 hours downtime required to cure the problem. Once all problems were completely rectified as well as logging system at 10.00 UTC (17.00 local time), team could only manage 483 QSO and had only 14 hours left to accomplish the contest with target to be met. 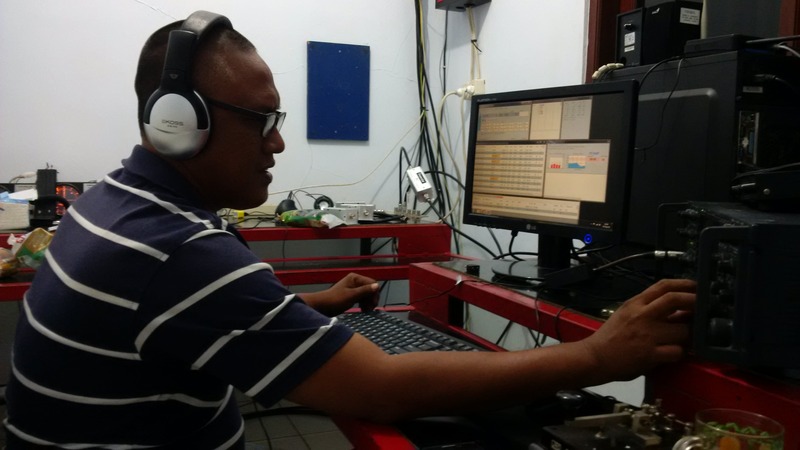 Given remaining time available, extraordinary efforts in meeting the target seemed to be possible when finally team could manage 803 QSOs at 14.00 UTC (21.00 local time), and just requiring 197 more QSOs. Antenna troubles, computer monitor problem, interface communication failure, and power outage were all finally manageable but point of concern herein was team spirit to achieve target being set. 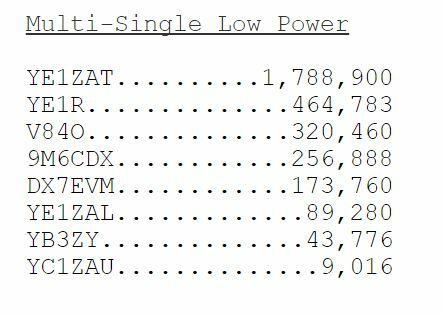 It was definitely nothing without willingness and commitment until finally at the end of entire contest duration, team could accomplish 1012 QSOs with claimed score 869,760. No matter the result would be for this contest, considering all difficulties had been experienced by team, one thing that needed to be pointed out was related with spirit to fill some gaps as well as continuing the game under difficult situation. This was primary concern, and team had demonstrated it exceptionally well. None who visited team’s station at the time would think that this target could be achieved after team experienced all consecutive troubles mentioned above during contest. Spirit and commitment would eventually take all, supported by good team work, hence things became possible.